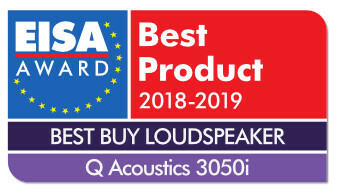 I am delighted to announce we at Q Acoustics have secured the prestigious European Imaging and Sound Association (EISA) Floorstanding Loudspeaker 2018-2019 Award for the 3050i. This is our second consecutive EISA in 2 years and we are extremely proud of this award and are very pleased to share this news with you, our valued partners. We have produced a range of sales and marketing materials to help us drive awareness of the EISA award that we hope you will use locally. Please download the EISA LOGO here for you to use across your 3050i collateral. 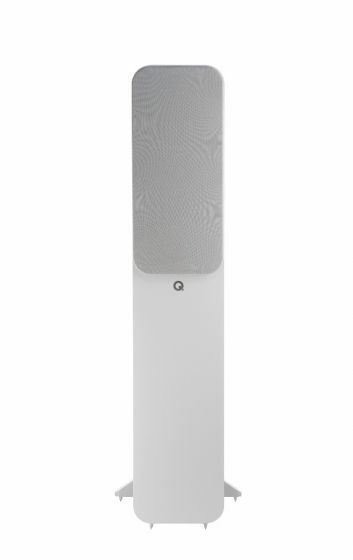 Commenting on the 3050i, Paul Miller, President of the EISA, said: “This innovative brand has been a powerful player in affordable speakers for a decade now, but the 3050i is arguably Q Acoustics’ best value product yet. More than just another box, this neat two-way, reflex design sports bespoke new drive units, with careful decoupling of the tweeter by a rubber suspension system. The sizeable cabinet has been extensively braced to reduce resonances, and there’s a clever internal ducting system to deliver a more linear bass. The result is a commanding sound with real scale and power – and it is delicate and detailed too. With a range of four attractive modern finishes, this is by far the best all round floorstander at the price.”. Alex Munro, Brand Director at Q Acoustics, said: "We are incredibly proud to have won this prestigious award for a second year running. At Q Acoustics, we constantly strive for excellence with all our products and the 3050i is a fabulous representation of this excellence. This award is testament to the hard work and dedication of our talented team over a number of years." We'd love to hear from you - any questions, suggestions - all welcome.